Vivid embroidery on this 3" round patch. 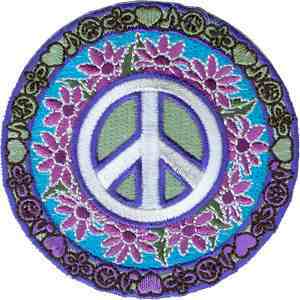 Music notes, peace sign, and flowers on this patch. It can be ironed or sewn on. Put it on jeans, a jacket, or even a purse.